Brightcove is no longer just for videos. Starting today, it is launching an entire new product line for making mobile and web apps called Brightcove App Cloud. Developers will be able to use App Cloud to create their apps once and then deploy them to the iPhone, iPad, Android phones and tablets, and beyond. 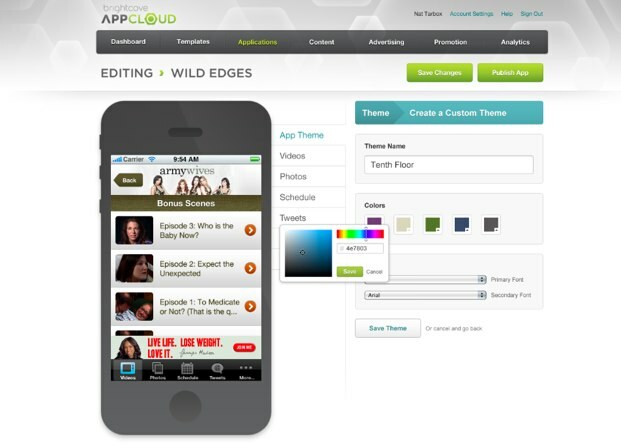 It creates HTML5 apps as well as mobile touch websites, and it is not limited to video apps. Brightcove App Cloud creates an app template, and then customizes it depending on which platform it will be deployed on.